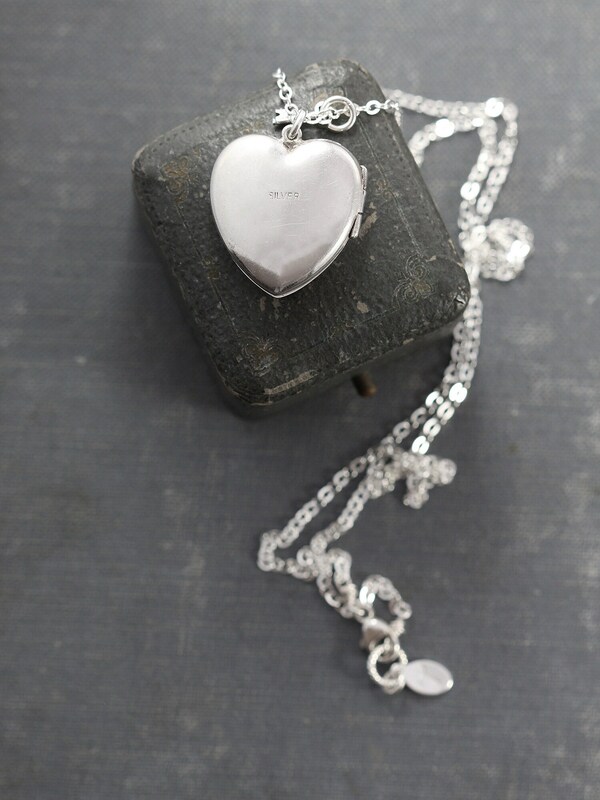 A beautiful hand chased sterling silver heart locket is engraved with a subtle sweep of swirling vines. 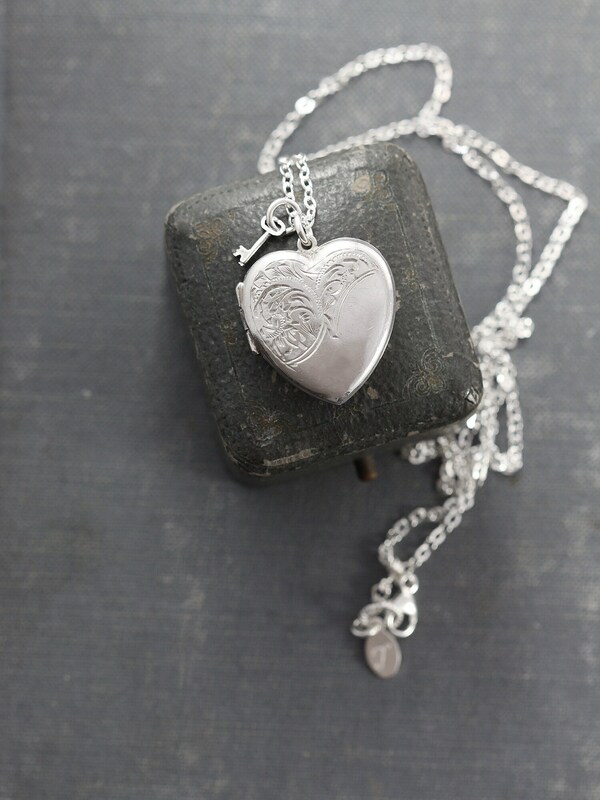 The back of the locket is signed for silver. 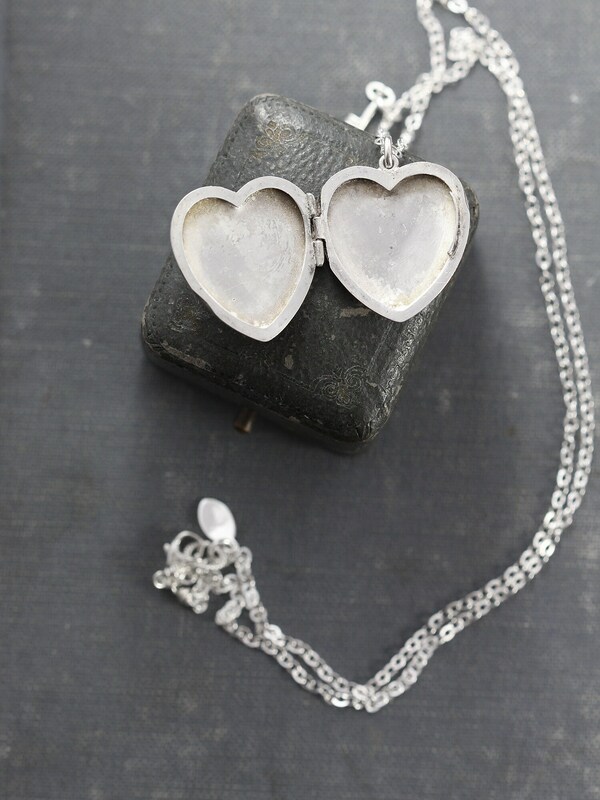 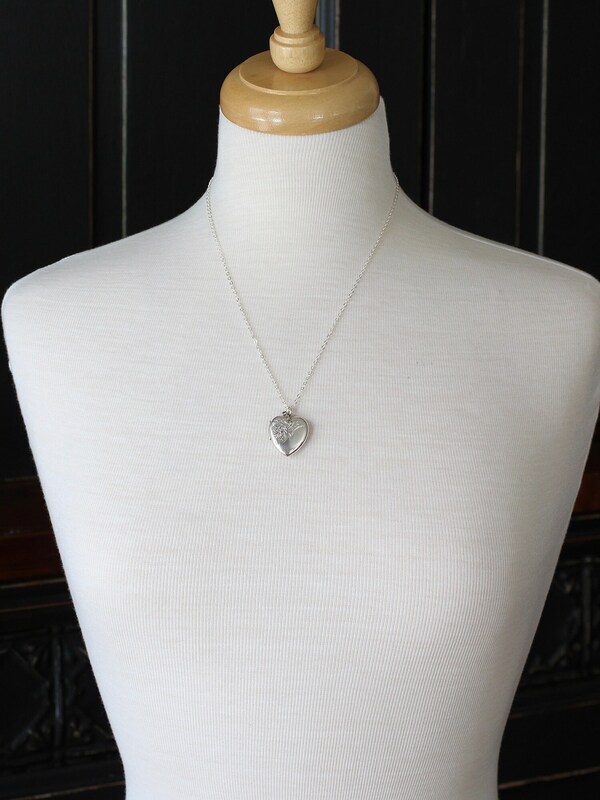 The heart pendant is paired with a decorative key and opens to reveal two hidden places ready to hold beloved photographs. 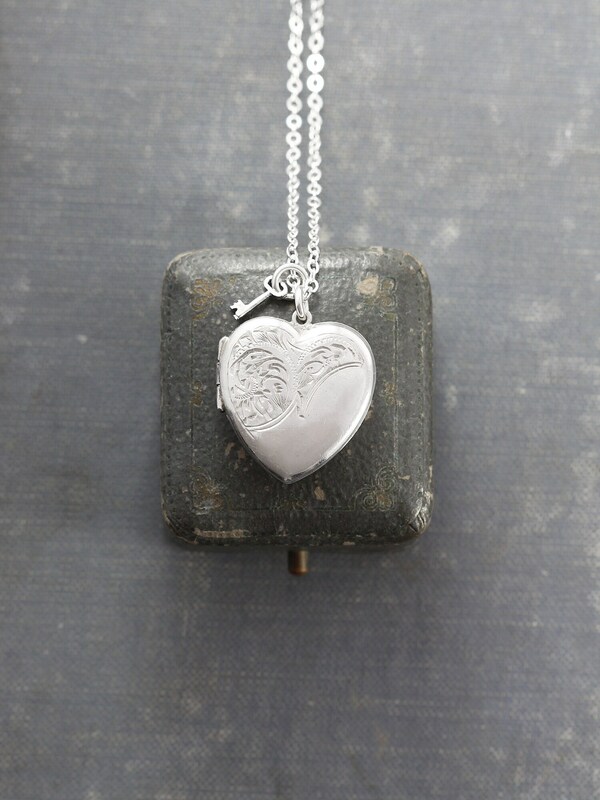 The design is set on a new long sterling silver chain hand finished with a trigger lobster clasp and ring.